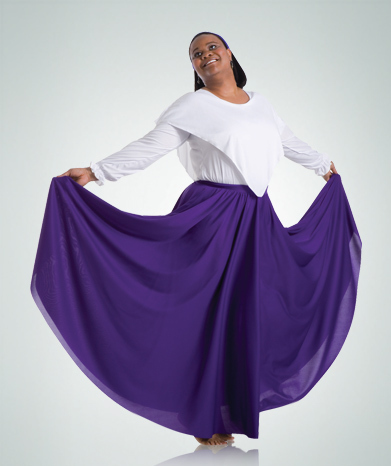 Double circle skirt by Body Wrappers. Full double circle skirt. This flowy skirt works great for spins kicks. Grab the ends and work the skirt for full effect!